Yesterday I filled in the small flaws in the birdsmouth mast. Today the epoxy is still too soft to sand. Today I am going to start work on the Masthead plug with the sheave. Masthead plan. I am making it out of some white oak I have left over from the leeboards. Three pieces for the masthead plug. The centre blank is ⅝” thick, the two outside pieces are ⅞” thick for a total of 2⅜”. 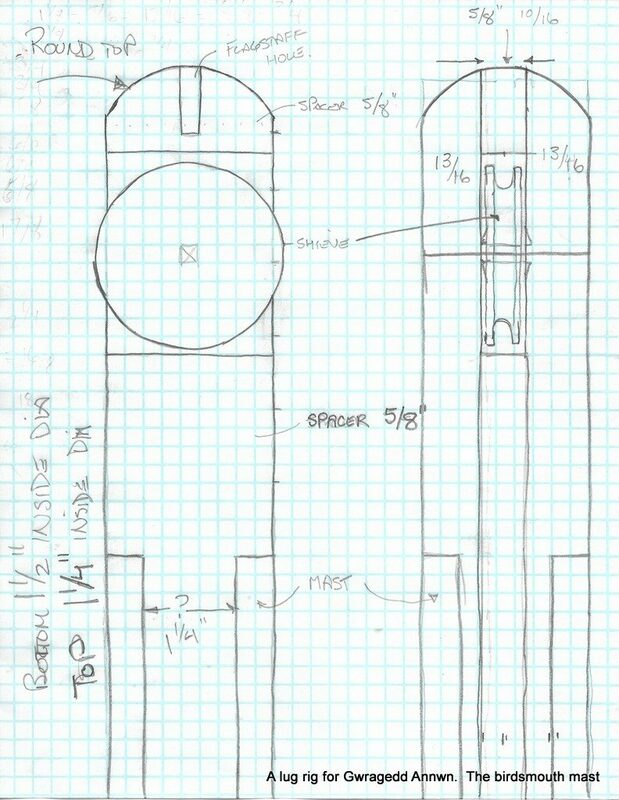 I will work the plug down to the 2½” masthead diameter. The sheave is in the upper right of the photo. 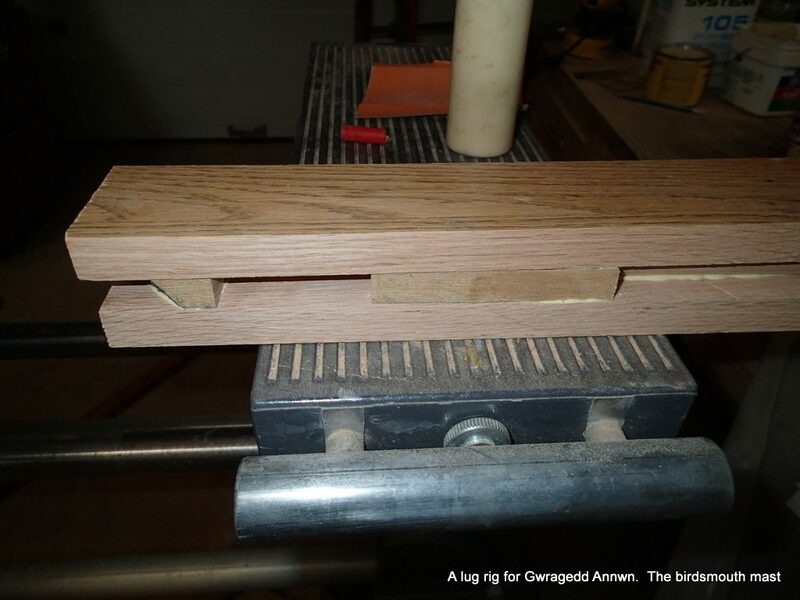 I am using Titebond II to glue up the masthead plug. 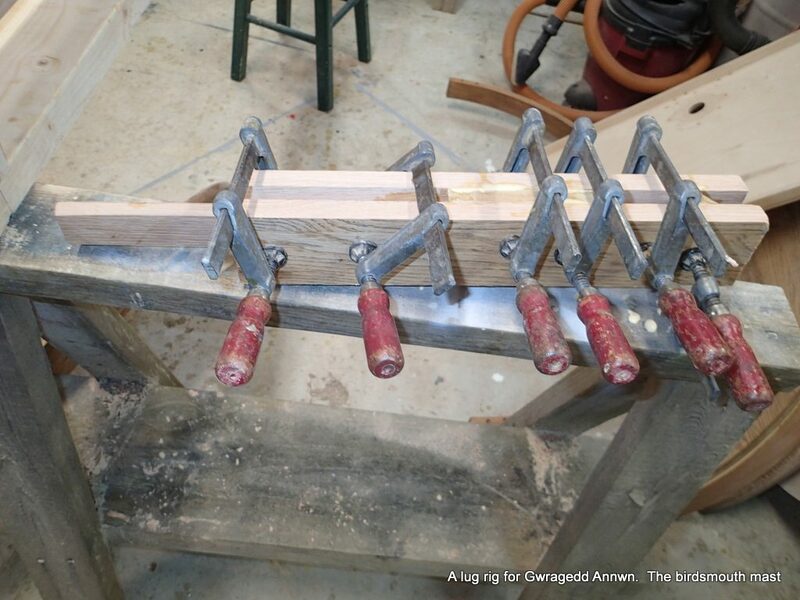 Masthead plug clamped up…I set aside to dry. 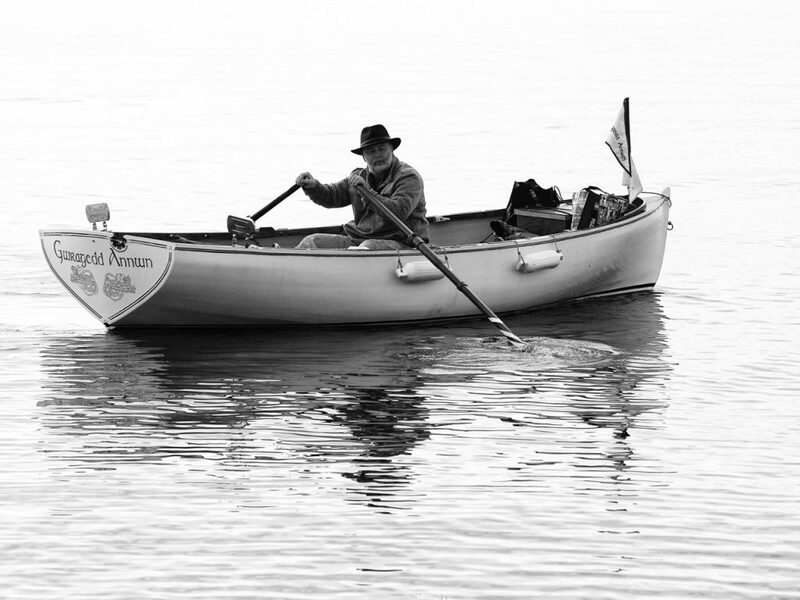 I have read a lot on the internet about stuffing your hollow mast/spars with crumpled aluminum foil so your small boat will show up on radar. What the heck? ?, I buy four boxes of heavy-duty aluminum foil at the dollar store. 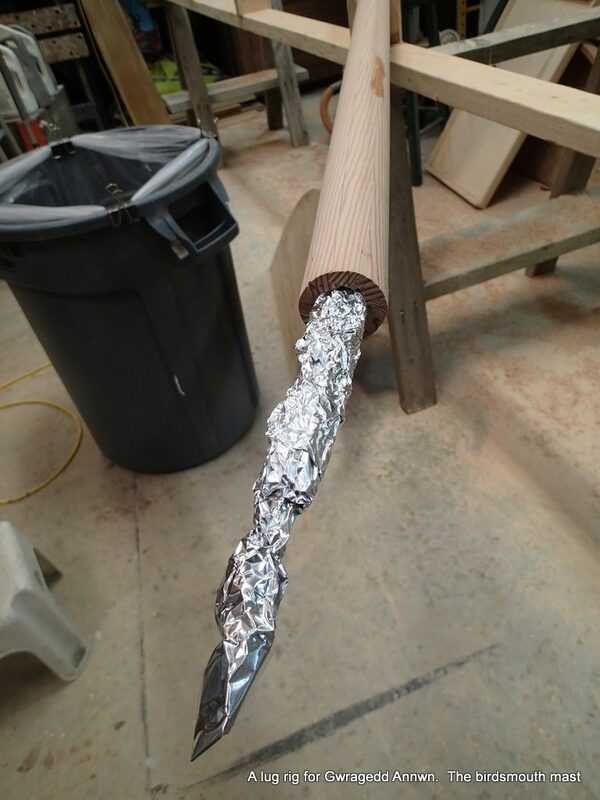 75 square feet of crumpled foil goes into the mast. 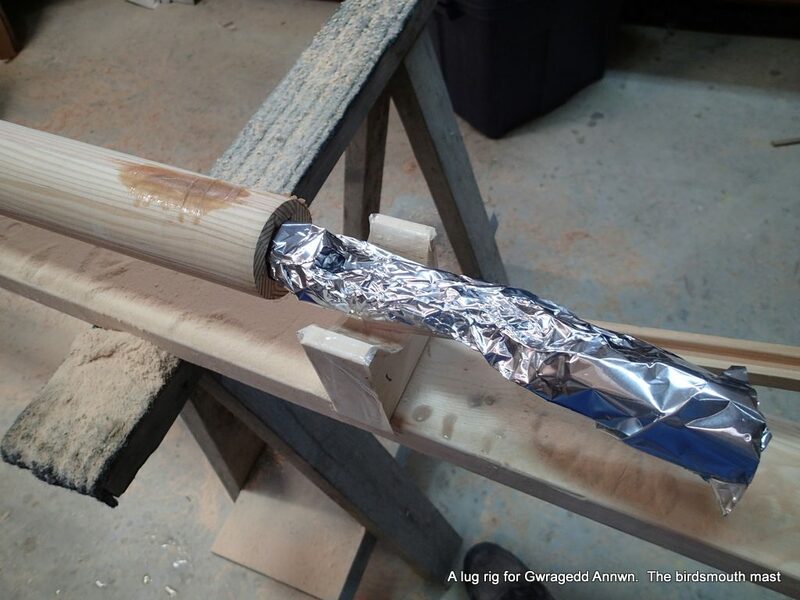 I use a left-over piece of aluminum pipe to stuff the foil into the hollow of the mast. 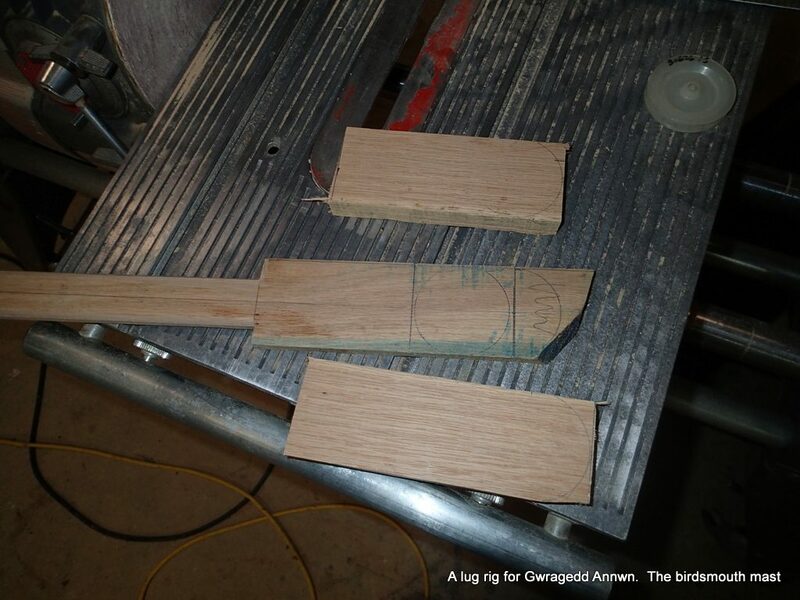 I will need to leave room for the Masthead plug tail and the plug for the bottom of the mast. 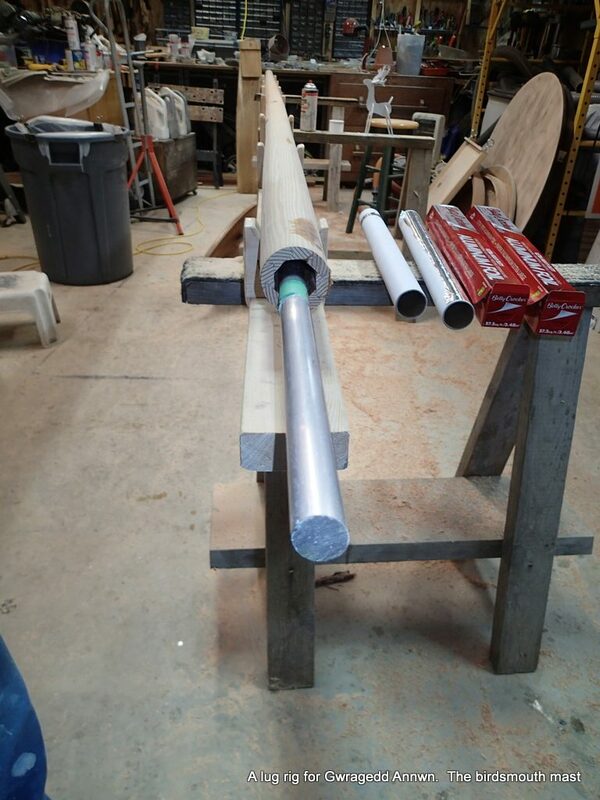 About 18″ for the masthead, about 24″ for the mast base. I stuff from both ends of the mast. I use a broom handle to gauge how far the foil is stuffed in. Stuffing the bottom of the mast. The painters tape marks the “how far to stuff the aluminum foil in” line. 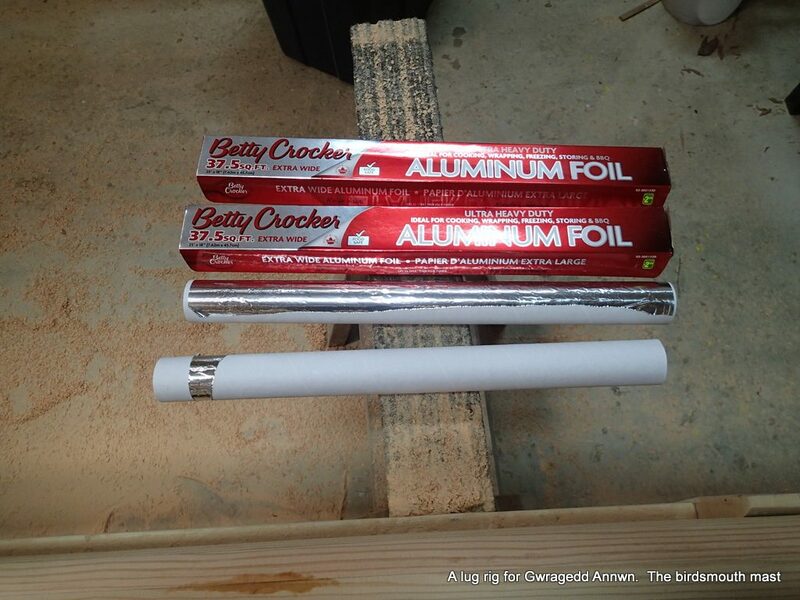 Well, I now have ≈ 75 square feet of crumpled aluminum foil in the centre of my birdsmouth mast. 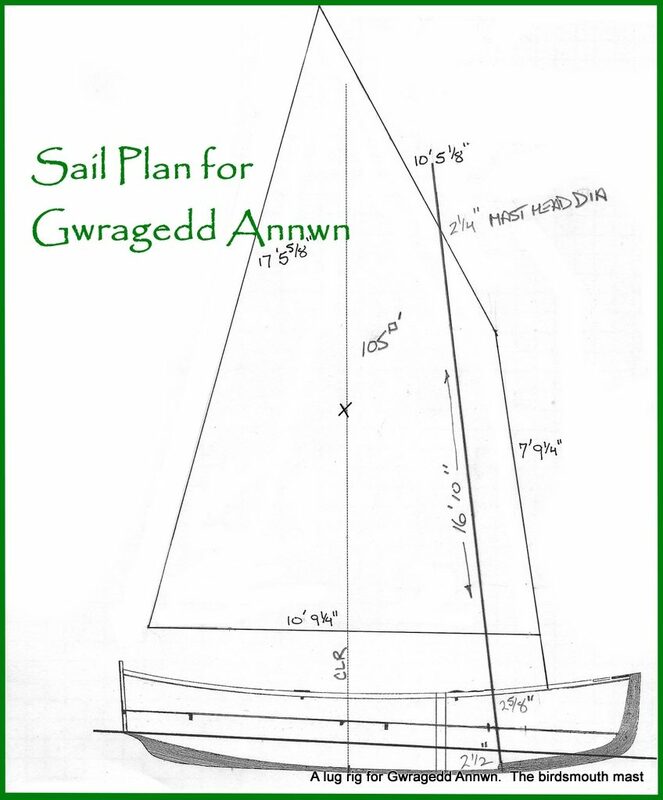 I wonder if it will work, and give Gwragedd Annwn a good radar reflection. I am so enthused with this idea that I will take my yardarm, hollow out the middle, stuff with aluminum foil and re-glue. 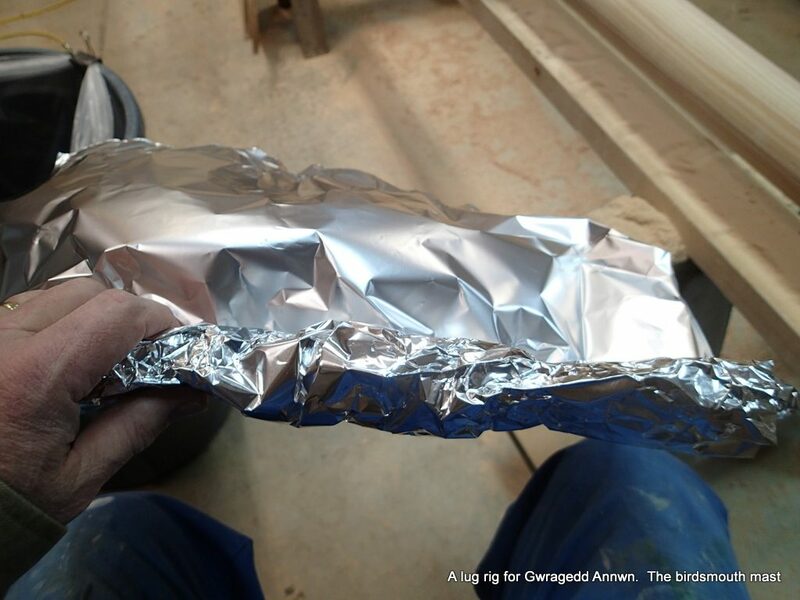 Probably I will only be able to get 35 square feet or so of crumpled aluminum foil in the yardarm…but, hey, the more foil the better! Tomorrow’s project.